Purchase online LM1085 3.3 Volt Regulator in India from DNA Technology at low price, Nashik. The LM1085 is a 3.3V regulator with a maximum dropout of 1.5 V at 3 A of load current. It has the same pin-out as TI’s industry standard LM317. Two resistors are required to set the output voltage of the adjustable output voltage version of the LM1085. Fixed output voltage versions integrate the adjust resistors. The LM1085 circuit includes a zener trimmed bandgap reference, current limiting and thermal shutdown. Refer to the LM1084 for the 5A version, and the LM1086 for the 1.5A version. 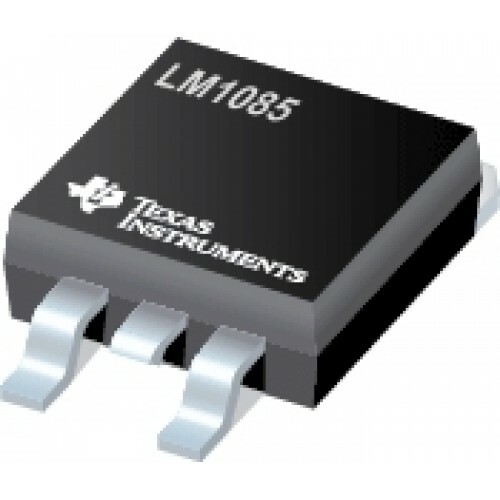 LM1085 Adjustable Output Linear RegulatorThe LM1085 is a Adjustable regulator with a maximum dropout..
LM1085 5 Volt RegulatorThe LM1085 is a 5 Volt regulator with a maximum dropout of 1.5 V at 3 A of ..